Rabbit Stix are a great product for rodents that can function as a maintenance diet, a supplement or enrichment treat. A high fiber, pineapple-flavored treat from Lab Supply, these stix are certified and therefore perfectly safe for your animals. 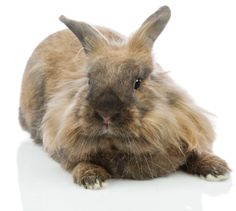 Containing papain and Vitamin C, these treats help prevent hair balls as well as meet all of the nutritional requirements for rabbits and guinea pigs. Rabbit Stix are also a great appetite stimulant for new arrivals, post operation or debilitated conditions. If you would like to know more about our Rabbit Stix, please click here to view this product in our store. Here at Lab Supply, we are committed to making sure you find exactly what you are looking for. If you have any questions about these animal products or any other products we offer, then please click here to visit our contact page. We will be more than happy to answer any questions you may have.